Do a quick a scan of a grocery store in 2018 and you’ll notice something peculiar: Nearly every good carbohydrate also has an alternative made from cauliflower. This phenomenon ranges from bags of cauliflower “fried rice” speckled with diced carrots and peas to “gnocchi“ constructed from compressed bits of the cruciferous vegetable. But the food that takes up the most shelf space are cauliflower-crusted pizzas -- yes, pizzas with a base made typically from a mix of shredded cauliflower, cheese, egg, and seasonings. Everyone from Whole Foods to Trader Joe’s carries a cauliflower pie, as either a plain crust or a full-blown pizza loaded with cheese, tomato sauce, pepperoni and the like. The cauliflower crusts aren’t just filling grocery shelves either -- recently, they've found a home on restaurant menus. West coast-based pizza chain California Pizza Kitchen added the vegetable crust to its menu earlier this year. In New York City, you can find the crusts topped with vegetables like caramelized onions and fresh tomatoes, and Los Angeles is home to a pizza delivery company called Skinny B*itch that will send cauliflower pies straight to your door. While it might seem like it, Big Cauliflower did not invent this dish. It appears that humanity first had the idea to substitute crusts made from flour, water, and yeast, with crusts made from shredded cauliflower as early as 2009. The blogger behind Your Lighter Side claims to have invented the recipe that May, after deciding to swap out rice flour for riced cauliflower in a gluten-free pizza crust recipe she found in an old cookbook. The idea eventually set Pinterest ablaze with bloggers from around the internet sharing their own versions of the vegetable crust. As far as “healthy” facsimiles go, cauliflower crusts are actually a decent substitute for the real deal. It’s not hard to see the appeal: A pizza made with a cauliflower crust is definitely surrounded by a health halo. 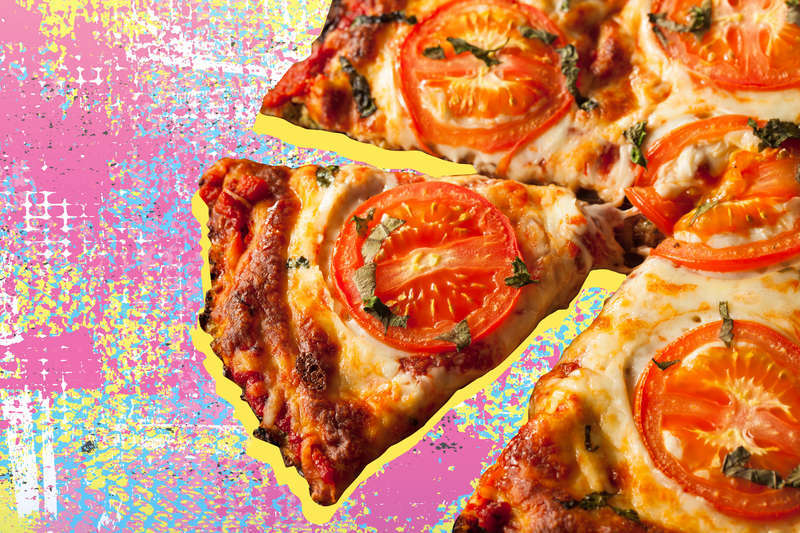 It turns pizza from a gluttonous indulgent treat -- loaded with carbs and gluten, two modern-day nutritional pariahs -- and turned into something made mostly from vegetables. Cauliflower crusts allow those attempting to adhere to a gluten-free or low-carb diet the opportunity to still tear through slices of pizza. Gail Becker, a working mother of two boys with celiac disease, found herself intrigued by the cauliflower pizza and attempted to make it one night in early 2016. “It took 90 minutes to make a crust after a day of work.” Her sons loved the dish, but as someone with a full-time job, she was unsure of when she’d have the time to go through the lengthy process of ricing, draining, and baking the cauliflower to make a pizza again. “I thought, there had to be a better way,” said Becker. She scoured the internet and every grocery store she could find, but a pre-made cauliflower crust just did not exist. So she set about figuring out a way to make her own, launching Caulipower in the process. Her company offers plain crusts -- made with things like cauliflower, tapioca flour, almond flour, and coconut oil -- for customizing alongside regular pizzas with toppings like margarita, three cheese, and pepperoni. All you have to do is pop the pizza in the oven and 20 or so minutes later, dinner is ready. Over 10% of all CPK pizzas are ordered with a cauliflower crust already. Caulipower pizzas can now be found in grocery stores around the country. Soon after Becker launched product, beloved grocery behemoth Trader Joe’s also introduced its own cauliflower crusts and pizzas, with other companies following suite. The spread of cauliflower crusts doesn’t seem like it will slow down any time soon, either. CPK is the first national chain to sell a cauliflower crust, but CPK “wouldn’t be surprised to see other restaurant brands follow suit.” Who knows, you may soon seen stuffed-crust cauliflower crust pizzas at Dominos, or maybe even a Detroit-style cauliflower crust at Little Caesars -- that is until the next vegetable we can turn into pizza out comes along. Khushbu Shah is a senior editor at Thrillist and she believes in the power of cauliflower. Follow her love for cruciferous vegetables on Instagram @khushandoj.